The biggest band since the Millennium? Following this, Coldplay released ‘Parachutes’ in 2000 and took British alternative rock in a new direction. Surrounded by other British bands like Travis, Keane, and Radiohead, as well as being heavily influenced by U2 and R.E.M, Coldplay was set for stadium greatness! After the release of the follow-up album ‘A Rush Of Blood To The Head’, it was obvious that Coldplay was the next big stadium band, a position they’ve managed to hold since. 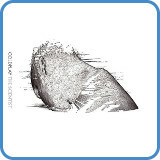 Even though Coldplay claim to have written ‘The Scientist’ collectively, the basic progression and melody were written by Chris Martin after he had been working on a George Harrison cover. All great songs deserve a good music video and in ‘The Scientist’ we certainly get that! The video went on to win three MTV video awards, mainly down to its narrative being told in reverse. This genius music video for ‘The Scientist, directed by Jamie Thraves, starts off with Chris Martin singing the first verse on a mattress outdoors in a London suburb. The rest of the video is played out in a backward motion. The story of what happens is told by Chris, singing in sync, whilst the world around him moves backward. To pull such an effect off, Chris Martin would have had to lip-sync the song backward during the video shoot! This effect was previously used in the ’96 video ‘Drop by The Pharcyde’ (Spike Jones). This arrangement uses an open tuning when playing ‘The Scientist’ by Coldplay, which originally was performed on the piano. By allowing the top two strings (tuned to C and F) to be a part of every chord we get different extensions for the chords that are unique and bind the progression together. If you want to get into playing using open tunings, this is a great example. 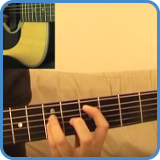 Go to video lessons: The Scientist chords. For complete lyrics, go to The Scientist lyrics.